Results can be dramatic necessitating only one or two sessions but with more complex conditions clients may need more sessions.
" Hypnosis came out as the most effective anti-smoking technique." 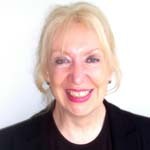 Kathy Miller is a smoking cessation master class graduate and can enable you to become a non-smoker using a method which is completely safe and natural. This programme has an excellent success rate. Normally only one session is required. In the event that you have an urge to return to smoking within 90 days of your therapy a follow up session will be provided free of charge. Hypnotherapy is not a magic wand that can solve your weight problem without any input from you. Some knowledge of good eating habits is required which Kathy can help with. Also, a small amount of willpower is required. Weight control can be effected through a series of 3 hypnotherapy sessions of 1 hour at least 2/3 weeks apart. In the inital session you will be asked questions about your general health and your eating habits and lifestyle. You will then be guided to relax and through visualisaton and positive thinking, will be enabled to set yourself some goals which you wish to achieve. Suggestion therapy will then be employed which reduces the amount of willpower you need to achieve your goals. During the second and third sessons your feedback will help Kathy in re-inforcing suggestions to achieve your target. This helps establish a more healthy lifestyle. A lack of self-confidence is usually brought about by a mind-set of unrealistic and unhelpful self-beliefs. Hypnotherapy can help to remove a lot of these false self beliefs. It is the confusing way of how you speak to yourself for example,"I can never do that" which prevents you from reaching your true potential. Hypnotherapy helps you focus on what you want in a positive manner, removing negative beliefs and replacing them with positive beliefs to help you achieve what you want in your life. Promotion at work, improved sports performance etc. Hypnotherapy can help. This is the root of many problems such as fear of flying, exam nerves, interview nerves, public speaking and many kinds of phobias. Hypnotherapy can help you overcome your fears by helping you access your personal power.